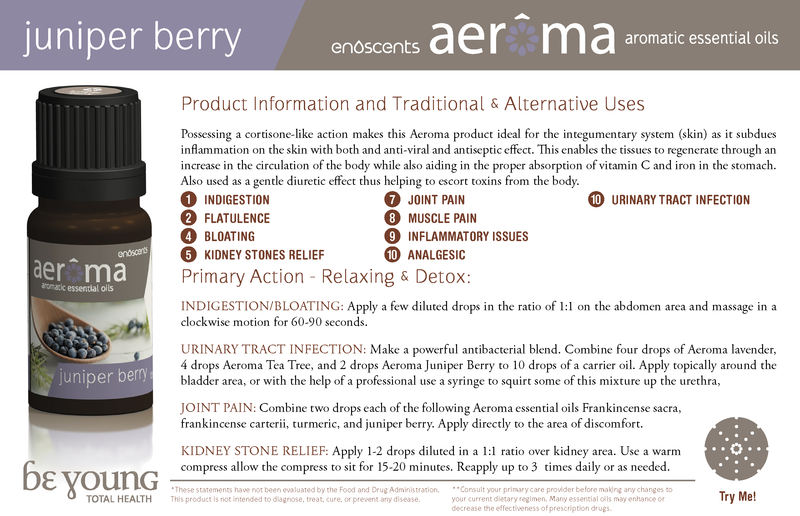 The juniper berry has generally recognized as safe (GRAS) status in the US. Juniper berry essential oil is derived from the berry-like seed cones of Juniperus communis. Dating back centeries juniper is used to flavour a wide range of foods such as sauerkraut, stuffings, vegetable pates, and beverages such as tea and of course most famously, gin. Junpier berry is a go to essential oil for those looking to maintain healthy blood sugar levels as it provides an undeniable boost to your will-power to resist starchy and sugary foods. Not recommended due to the potential for abortions and/or the induction of labor contractions based on expert opinion. Abortifacient activity of juniper has been observed in rats after oral administration of a 50% ethanolic extract at 300mg/kg bodyweight (12). Juniper may increase uterine tone, interfere with fertility and implantation and can cause abortion. Anticoagulants: Oral anticoagulants and juniper extracts may interact since hydroalcoholic extracts of juniper appear to contain vitamin K (13). This interaction is expected to decrease the anticoagulant effects of some oral anticoagulants. Anti-diabetic: May serve to increase anti-diabetic effects.